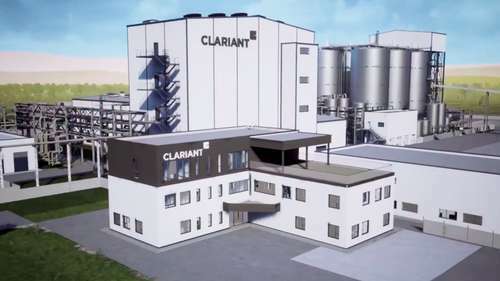 Craiova – Clariant, a focused and innovative specialty chemical company, provides farmers in Oltenia with the opportunity to transform straw into an additional source of income. As part of the first official workshop organized by the company for farmers in the Oltenia region, the attendants had the opportunity to learn more about the sunliquid® plant being built by Clariant in Podari and how they can become part of the agricultural residues supply chain. The event was attended by Daniel Eugeniu Crunțeanu, State Secretary at the Ministry of Agriculture; Dragoș Gavriluță, Project Director at Clariant and Paul Popescu, Feedstock and Logistics Manager at Clariant.